I don't know what Mm. means. It can't be beats per minute because it's not possible to have 4-6 beats per minute. At least according to https://en.wikipedia.org/wiki/Bar_(music), "Mm." can also stand for measure numbers. 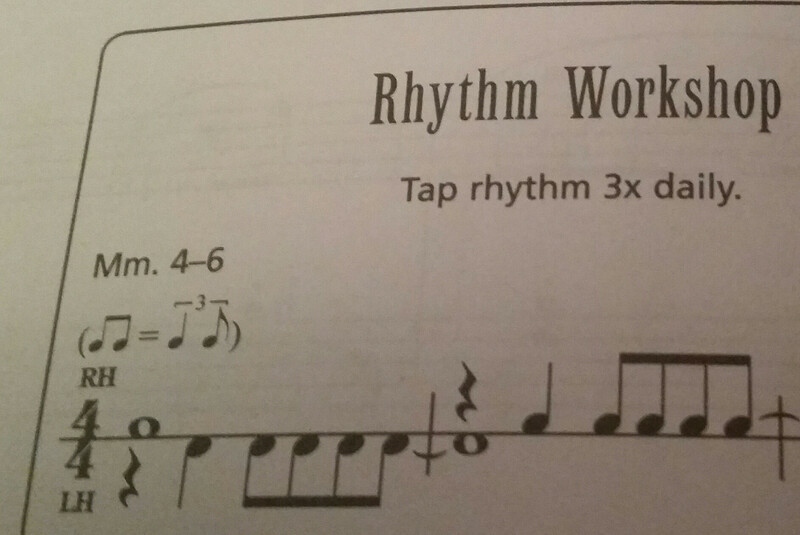 Presumably, the rhythm workshop wants you to repeat measures 4-6 when you practice. We need context. Maybe this method has it's own system of speed categories. Maybe it's just 'Measures'. Maybe it's a misprint. I can't see any connection with figured bass and chords though. Pity about the dumb '8ths = triplets' notation when doubtless they want Swing. If this is percussionist training, they ought to know the difference between swing and triplet shuffle. OK, problem solved. It's the rhythm of measures 1 & 2 of the music that follows. Thanks, Jim. 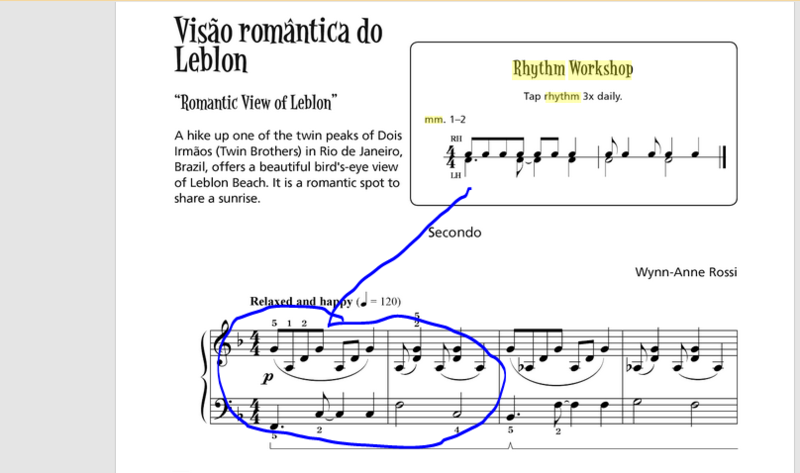 What are the different rhythm styles? Is that the right word? What does the tempo marking “Andando” mean?